I wandered around Asakusa (also called Sensoji) Temple with a million questions: Why were the statuettes wearing red bibs? Why were people tying little strips of paper to a wire frame? 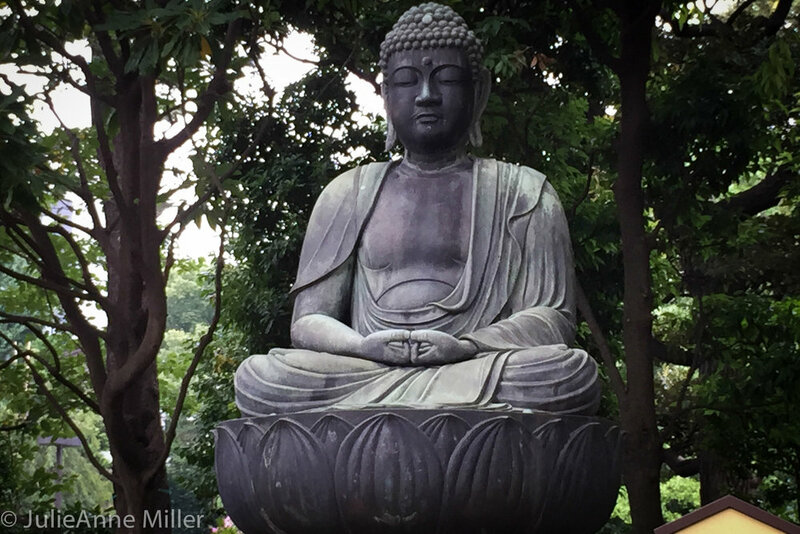 Buddha was prevalent, but what were these other figures, such as the fox? 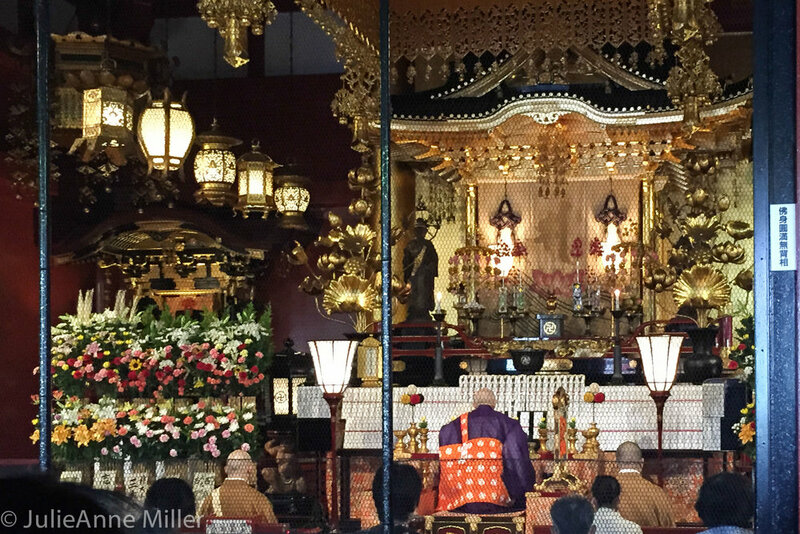 A piece of advice before visiting Japan’s temples and shrines: spend a few minutes educating yourself so that you can better appreciate the experience. 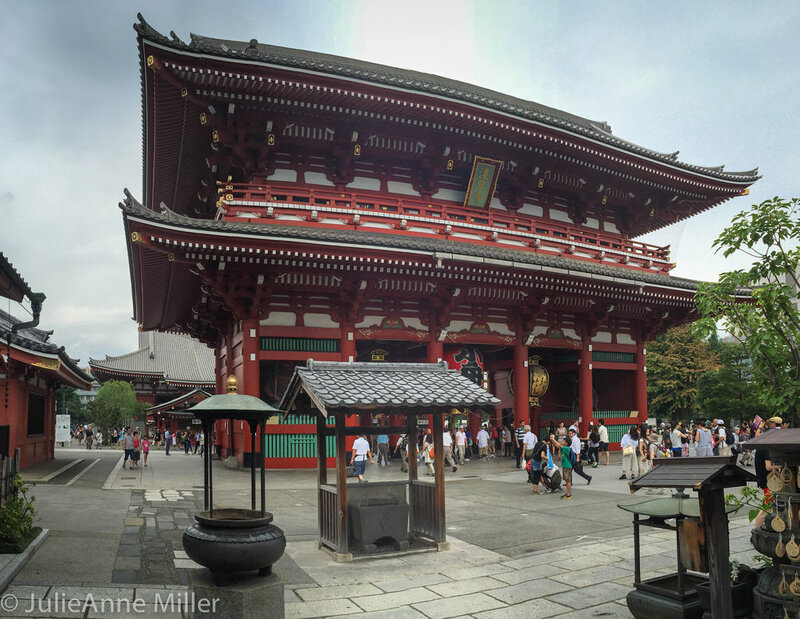 Hopefully my little write-up offers a brief explanation, but for more in-depth reading, check out the Guide to Sensoji Temple and this Dictionary of Japanese Mythology. 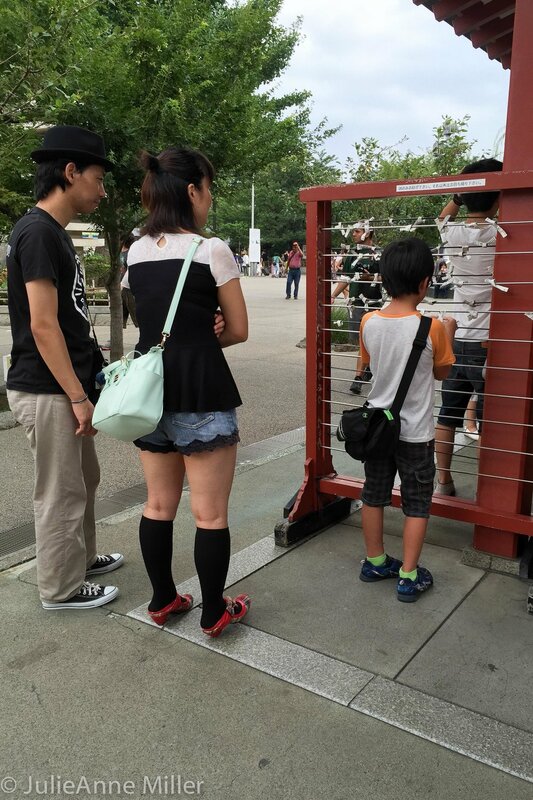 Asakusa Temple is in the heart of Tokyo and packed with tourists. 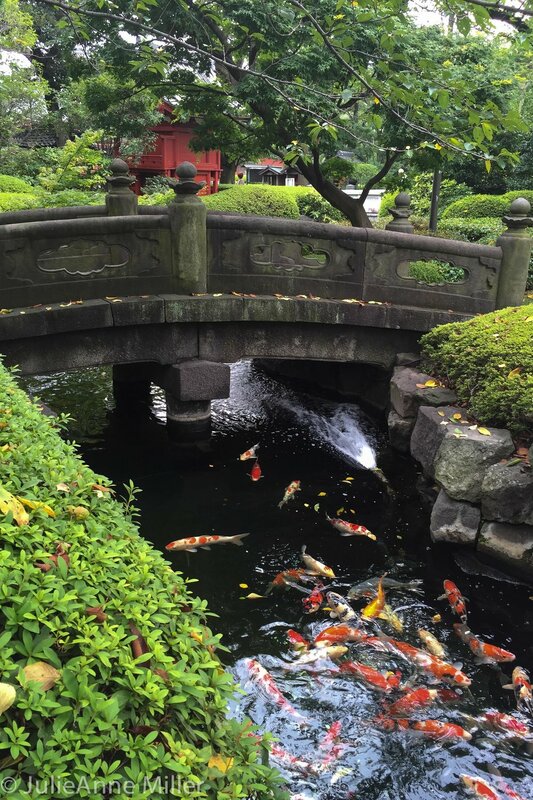 Past the main gates and hall, though, the crowd thins and walking paths wind through lovely gardens, small waterfalls, shrines, and monuments. It's actually quite peaceful. 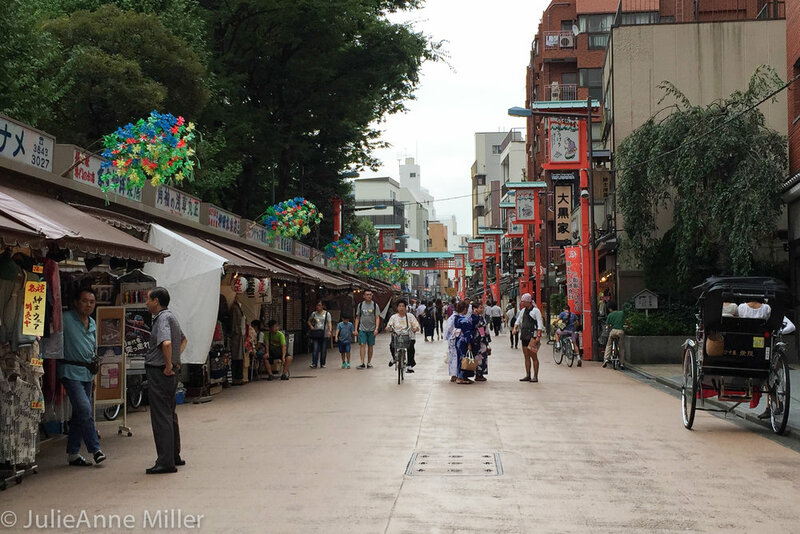 I spent about four hours exploring the temple grounds and the small market district. While a tourist attraction, the temple is a working monastery, with buddhist monks praying, chanting and bowing in the main hall and local people lighting incense, intently praying, and making offerings. So here's what I learned later. 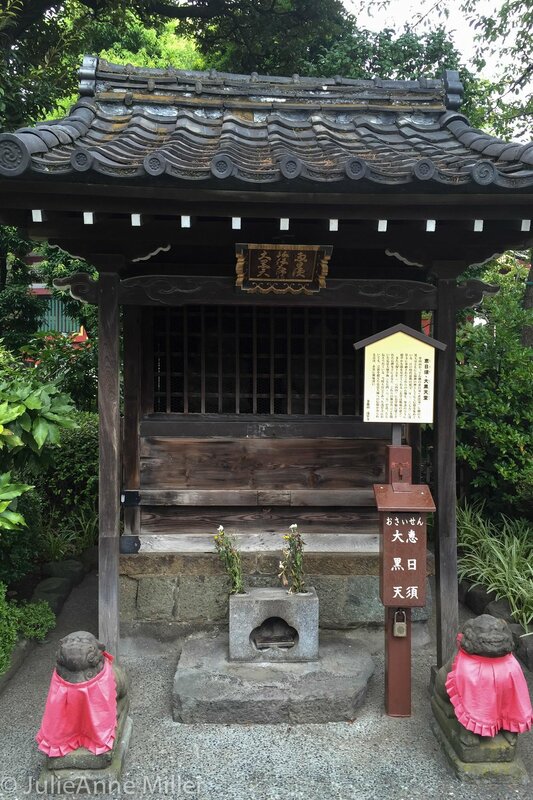 At any Japanese temple or shinto shrine, you will often see pieces of paper tied to a wire. These are o-mikuji fortunes. Make a small donation and then randomly choose a fortune. Written inside will be either a blessing or a curse related to some aspect of your life (traveling, having a baby, making an investment, etc.). If the fortune is bad, tie the piece of paper to a tree or metal wire with the hope that the bad luck will transfer to that object instead of remaining with you - and then maybe light some incense and pray for better luck! If the fortune is good, put it in your pocket -- and maybe light some incense and say a prayer of thanks! Another unique aspect of Japanese buddhism that you'll see at temples is the placing of red bibs and small hats on the various shinto deity statues. The reasons vary depending on the deity (fox, monkey, lion-dog, and more human forms). For example, a red bib tied to a monkey statue is intended to ward off evil. 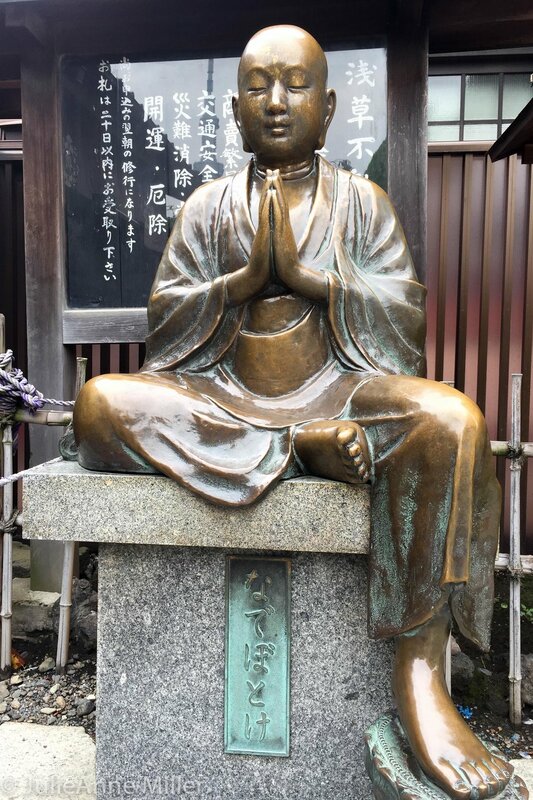 Binzuru is one of the most revered deities and you'll notice that these wooden and stone statues are particularly worn down because believers rub the part of the effigy that corresponds to sick parts of their bodies with the hope of healing. They also adorn Binzuru with red bibs and caps to watch over and protect newborn babies.